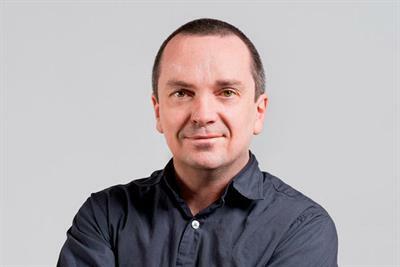 Conor Brady, Chief Creative Officer at Critical Mass, is a renowned creative leader, is a passionate believer in the power of great storytelling, experience design and design craft across all media. For Conor, these are core approaches to solving our clients’ business problems. In his role as Chief Creative Officer at Critical Mass, he oversees all the agency’s work and drives creative excellence on a global scale. Conor has nearly a decade of experience as a Chief Creative Officer at digital agencies Huge and Organic. Throughout his career, he has worked with many of the world’s largest and most admired brands, a few of which include Nike, Pepsi, Audi, Hilton, Citi and Samsung. His work has won awards across the globe from Cannes to London to Asia. 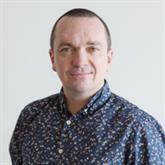 He is also a regular member of some of the industry’s most respected award juries, having served as a judge on the Design Jury at Cannes (twice), The Andy's, the D&AD awards and the Webby's. Born in Belfast, he began his career by helping create the first 100 book covers for Vintage Paperbacks at Random House in London and then moved into the music industry as a creative director at Universal Music/Polygram, designing record covers. Polaroids, vinyl records and silver rings: this year SXSW was all about how the analogue world that has been given a new life in the digital one, writes Conor Brady, chief creative officer at Critical Mass.